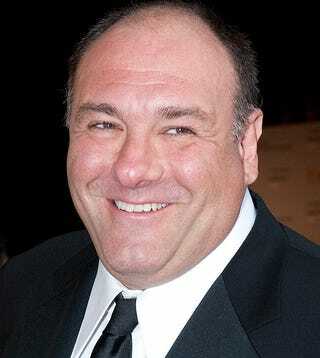 It is with great sadness that I report that James Gandolfini, Tony Soprano, has died at the age of 51 in Italy. Gandolfini was famous for his role as Tony Soprano in The Sopranos, the hit HBO drama. He also recently starred in the Nick at Night movie Nicky Deuce as well as a character in Zero Dark Thirty. "It is with immense sorrow that we report our client, James Gandolfini, passed away today while on holiday in Rome, Italy," managers Mark Armstrong and Nancy Sanders said in a joint statement. "Our hearts are shattered and we will miss him deeply. He and his family were part of our family for many years and we are all grieving." Many people have a lot to say about this incredible man. "Jimmy was the spiritual core of our Sopranos family, and I am stunned at this devastating loss," said Chris Albrecht, the former president of HBO who gave the green light to the show. "He was a great talent, but an even better man. My thoughts are with his family." "He was just so good at the emotion. A very passionate man and a very, very tender man," Matthew Warchus, who directed Gandolfini in the 2009 Broadway play "God of Carnage," told CNN. "I really loved him and admired him a great deal."